It’s that time again! Valentine’s Day is right around the corner. Once you’ve lined up a great date, the challenge is figuring out how to spend that special evening. It can be tough to think of something to top what you did last year, or to see beyond dinner at the usual place and a movie. That’s where I’m hoping I can lend a hand. I’m lucky as a photographer for AJC‘s Living Intown because I get to shoot many of the fun, quaint and quirky spots that make Atlanta unique. I’ve taken photographs highlighting some of the best places and sights in just about every metro neighborhood. One thing they all have in common: They’re amazing date destinations! If you want to go the traditional route with a nice dinner for two, you don’t have to settle for boring. Check out Two Urban Licks, a warehouse turned funky restaurant with a sky high wine wall and floating chandeliers. The vibe gets sultry on Saturday nights with live blues. Or, what could be more romantic than sharing a superb meal and a breathtaking view? The Westin Sun Dial, a restaurant on top of the Westin Peachtree Plaza, actually revolves with an observatory level where you get a 360 degree view of the skyline. Maybe a nice meal sounds great but you’d like to keep things a bit more casual. I recommend the Brick Store, a neighborhood pub in Decatur. The menu offers standard pub fare like burgers but also goes well beyond (like pan-seared rainbow trout with roasted butternut squash). Another gem is Chai Pani in Decatur, serving innovative but affordable Indian street food. After dinner, there are many options to take you and your date beyond the ordinary. The beauty of the Atlanta Botanical Garden is always a date magnet. At their “Valentines in the Garden” event you can stroll through tropical conservatories (orchid time! ), dance to live music and enjoy cocktails and desserts from Atlanta caterers. Another option is Paris on Ponce‘s Luscious Love Valentine’s Weekend Event with vaudeville, cabaret dancing and circus entertainment. Or, if you’d rather keep things light, check out the Laughing Skull Lounge‘s show featuring comedy writer Emo Philips. Atlanta also has plenty to offer if you want to step out of the ordinary with your sweetheart to experience some fine art, culture or history. There’s the Michael C. Carlos Museum at Emory, which is also having a special Valentine’s event with The Farmhouse at Serenbe. At the Atlanta History Center in Buckhead you can explore two historic homes, the huge Goizuetta Gardens and the Margaret Mitchell House (birthplace of one of the great romances of all time, Gone with the Wind). Let’s also not forget the High Museum for inspiring art and architecture, and the fabulous Fox Theatre, featuring a Pre-Valentine Weekend Celebration with Eric Benet on the 8th and the Alvin Ailey American Dance Theater on Valentine’s Day. If you’d like to make a full day of it, or a weekend getaway, try a treatment or two at Bliss at the new W Atlanta-Midtown before turning in at Urban Oasis B&B. Even if these destinations don’t make it into your date night itinerary, be sure to add them to your list for 2015, as they’re some of the best Atlanta has to offer. Wishing you much love and happiness this Valentine’s season! This entry was posted in Atlanta events and tagged AJC, Alvin Ailey, Atlanta Botanical Garden, Atlanta History Center, Atlanta walking tours, Bliss, Chai Pani, Decatur, Fox Theatre, Gone with the Wind, High Museum, Laughing Skull Lounge, Living Intown, Margaret Mitchell House, Michael C. Carlos Museum, Paris on Ponce, The Brick Store, The Farmhouse at Serenbe, Two Urban Licks, Urban Oasis B&B, Valentine's Day, Westin Sun Dial on January 30, 2015 by mamahunter2013. As photographers we’re consumed by every event and wrapped up in every moment we have the good fortune of documenting for our clients. Closing the calendar on a year is a rare opportunity to take a moment to look back and relive all of the wonderful events we’ve shot and the fascinating people we’ve connected with along the way. Please join us in a review of 2014 the AEP way — in pictures, of course. We are grateful for the incredible variety of experiences this year afforded us. We dined for a difference in support of Families First, watched special needs kids light up at the circus, and admired tired cyclists who pushed on to finish the Bike MS: Cox Atlanta Ride. Our hearts were warmed by the community-building efforts of corporate leaders like Cox Enterprises and by the good work of CHOA. We saw people hard at work, celebrating the fruits of their dedication as well as the friendships and camaraderie that formed in the process. And we were thrilled to help celebrate and honor some of the hardest workers in our community–the public servants and military personnel who fearlessly protect us. Our encounters with the design community, including Vern Yip, the Traditional Home team and a host of talented design bloggers, were a feast for our eyes and camera lenses. This wouldn’t be complete without mentioning the sheer fun and excitement of photographing talented musicians like Sheryl Crow, Rascal Flatts and Darius Rucker. On more than a few occasions we had stars in our eyes–but managed not to miss the great shots. 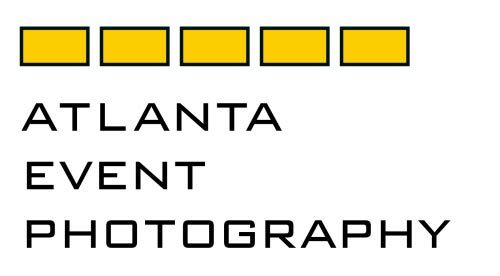 Thank you to all of our clients for helping make 2014 a successful year for Atlanta Event Photography. And if you haven’t yet worked with us, we’d welcome the opportunity to help you capture the most meaningful moments at your organization’s events in the coming year. I’m looking forward to exploring all that 2015 has in store with our amazing, talented team–Lyndsey Wright, Jason Hales, Sara Edelstein, Brandon Andrews, Kevin Liles and Brandon Perry. Happy New Year! This entry was posted in Best of AEP and tagged 2014 Highlights, Best of 2014, Bike MS, CHOA, Cox Enterprises, Darius Rucker, Dining for a Difference, Families First, Rascal Flatts, Sheryl Crow, Traditional Home, Vern Yip on January 9, 2015 by mamahunter2013.